That's right...one 40-piece layer cake (its all about 10!!!) 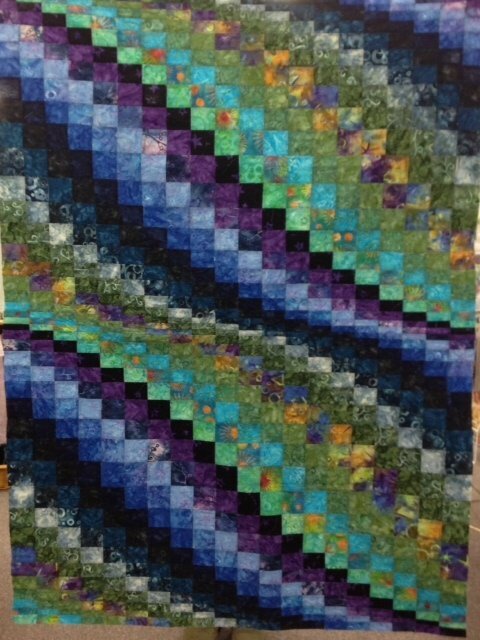 will make this gorgeous bargello quilt! Class time will highlight the wall hanging size (41" x 54 1/2") but by making additional identical quilts, you can stitch them together creating larger quilts. Intermediate level (accurate cutting, accurate seams, good organization!) requires rotary cutting experience and pattern purchase.